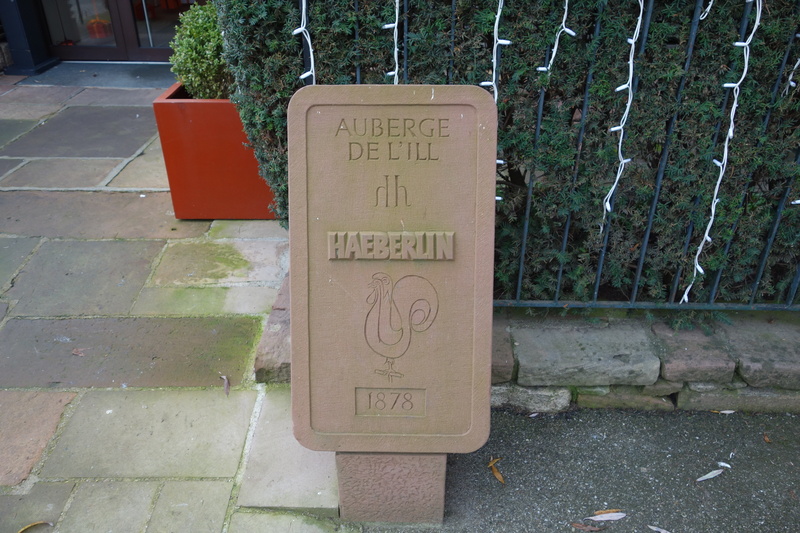 Earlier this month, I guest-posted about the Alsace 3* restaurant the Auberge de l’Ill on my friend Julian Teoh’s blog. 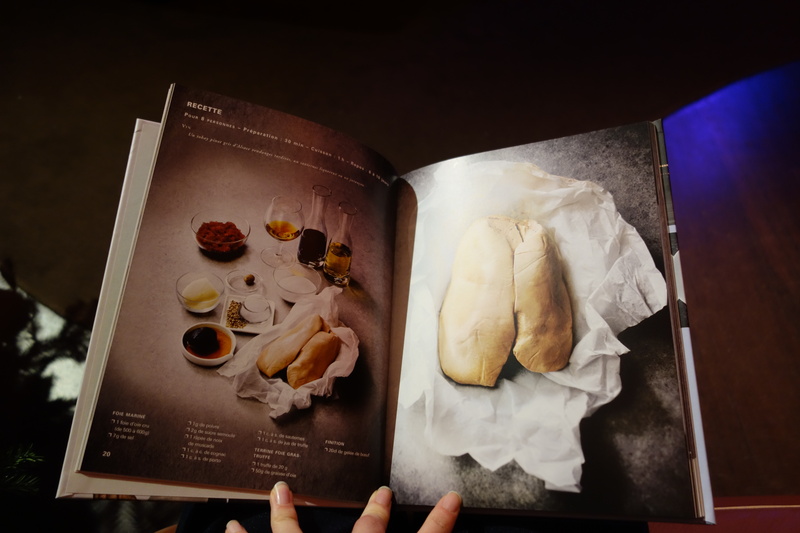 (Julian is a semi-professional food writer who moonlights as a lawyer, who writes an excellent guide to Southeast Asia’s dining options, especially around his two most-frequented countries Singapore and Malaysia. 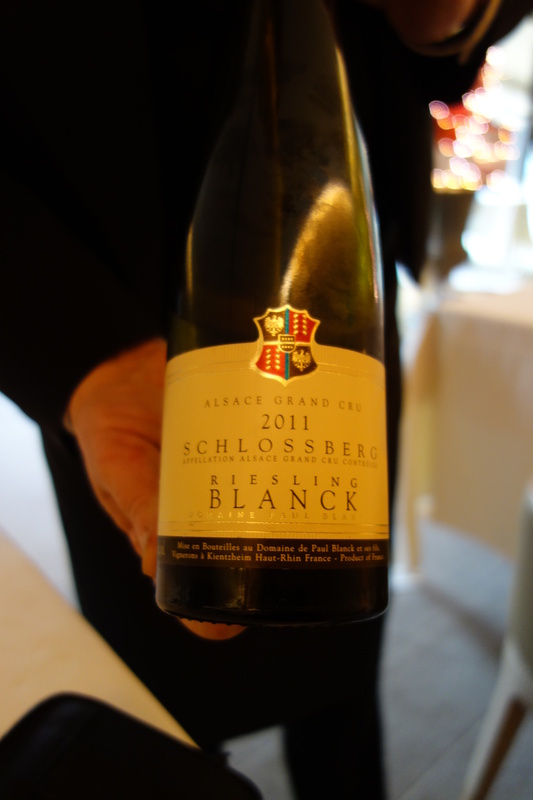 He also has an obsession with Alsatian wine and food, and is president of the Alsatian Wine Society in Singapore). You can see an alternate edited version with some of Julian’s touches over here. 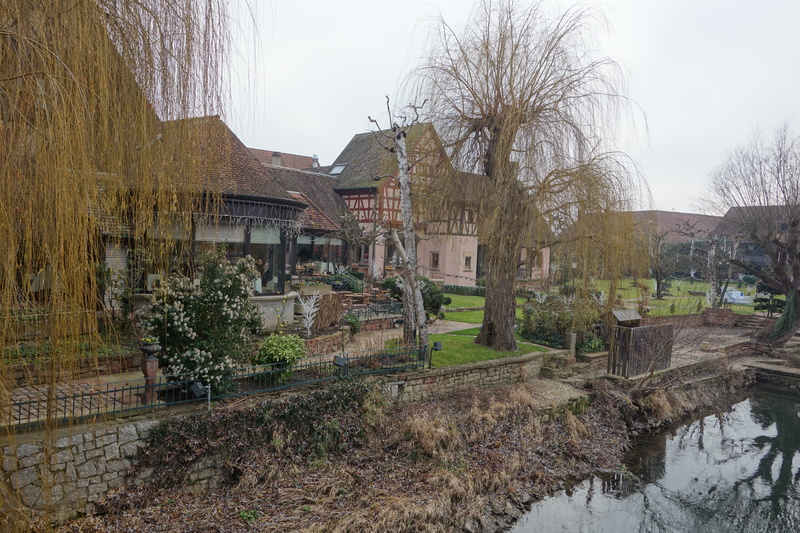 The Auberge de l’Ill is located in Illhauersern, 20 minutes away from Colmar, and the only three-star Michelin restaurant remaining in the Alsace region, after the demotions of the two 3-star Strasbourg restaurants Au Crocodile (which lost its stars in 2002) and Buerehiesel (which lost its stars in 2011) and of L’Arnsbourg in Baerenthal (2015, after chef Jean-Georges Klein left for the Villa René Lalique). Today, Marc Haeberlin, third generation of the Haeberlin family, is in charge of the kitchen, after his father Paul passed away in 2008. 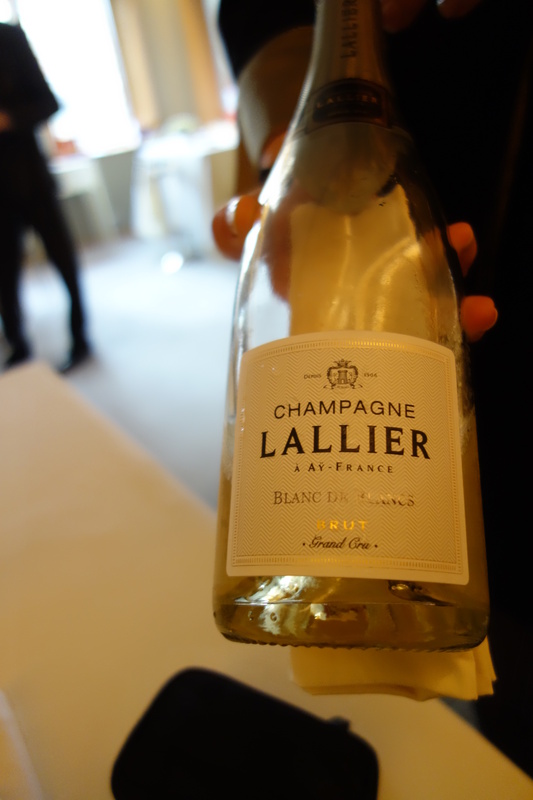 It is the second oldest holder of 3-Michelin stars in France, having had them since 1967. 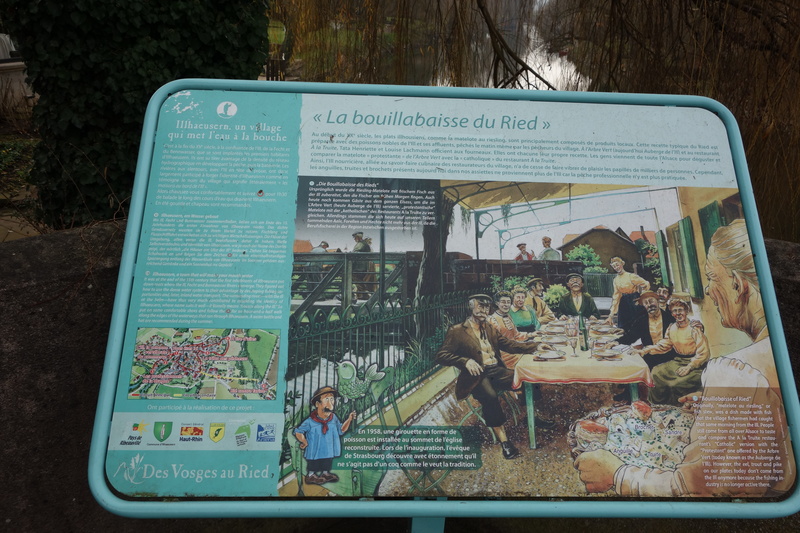 (Bocuse beats it by a year). 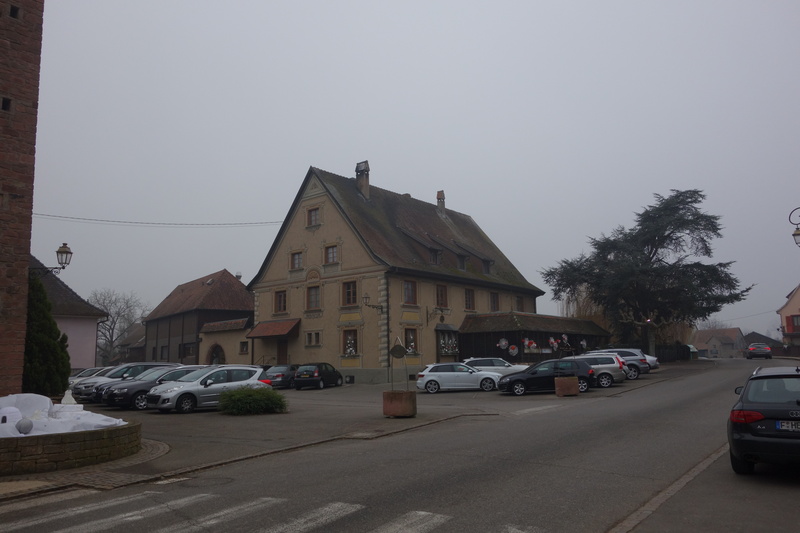 I came to the Auberge for one reason – classic cuisine. 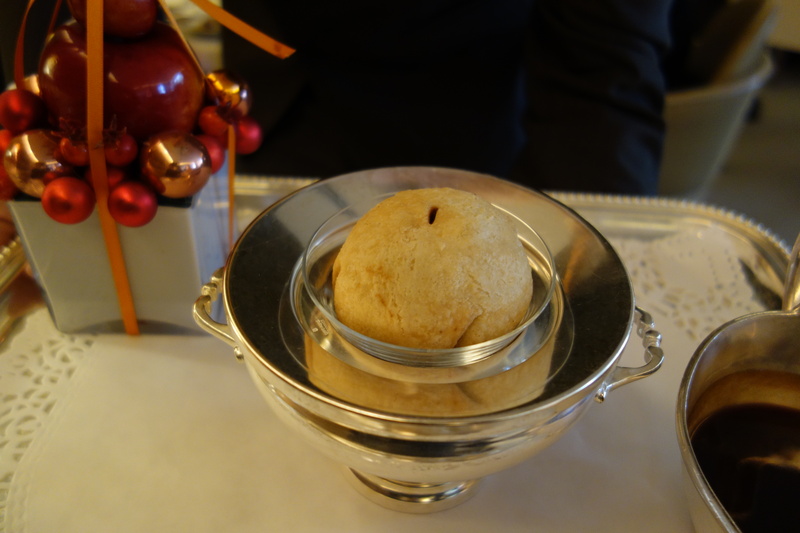 Their signature dish, the truffe sous la cendre (literally, truffle under the ashes) captivated my imagination. 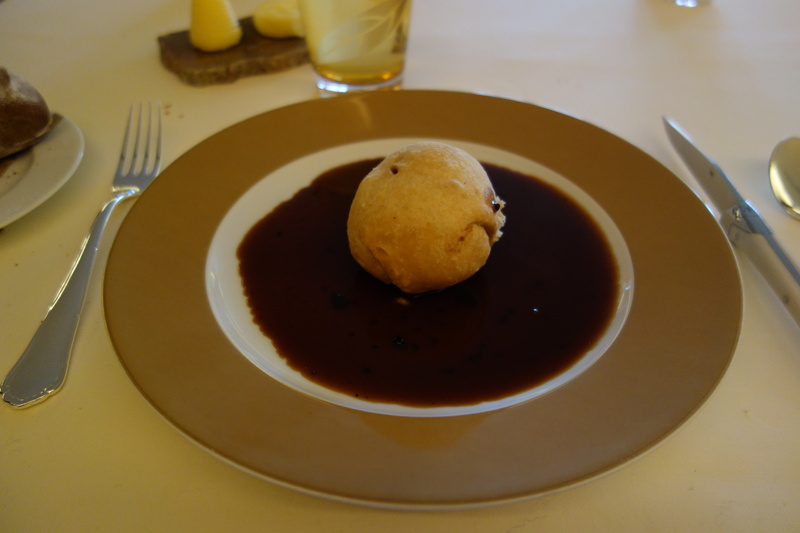 A whole truffle, is wrapped in a paste of mince, pork, foie, wrapped in a baseball of puff-pastry, and then baked. 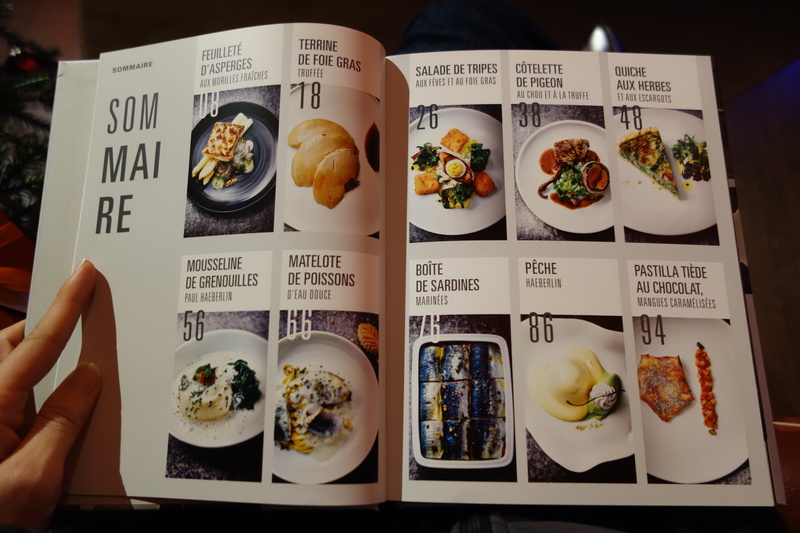 There are only a few restaurants that do whole truffle dishes. 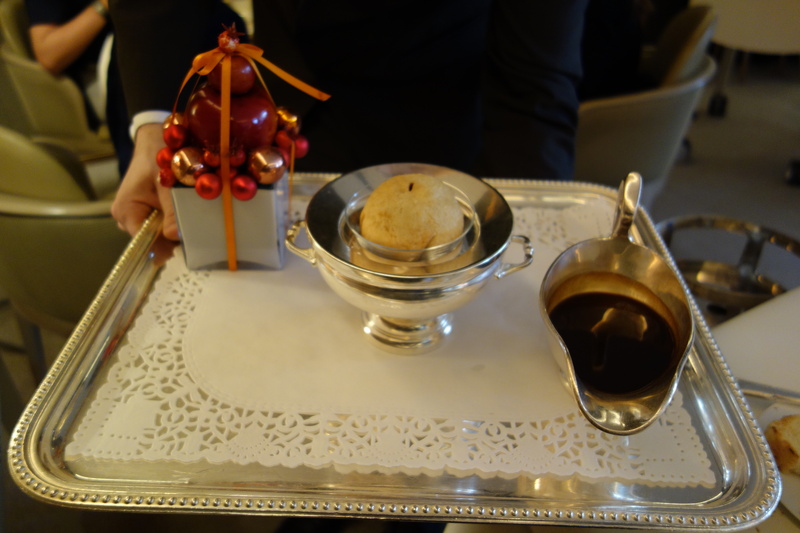 L’Ambroisie in Paris occasionally does a black truffle tart (Feuilleté de truffe fraîche, bel humeur), and it is an occasional and special order for Daniel in New York. Kawamura in Tokyo does a white truffle croquette and pie if you order ahead. But at those other restaurants, their fame rested on other dishes. 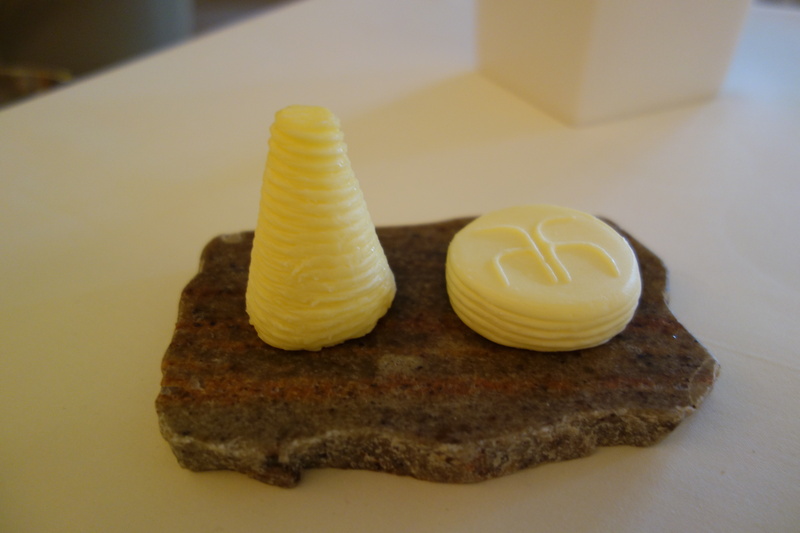 The truffe sous la cendre was the “black diamond” of this culinary peak, the Auberge‘s most iconic signature dish. The meal. I went fully classic this time around. All of the dishes I tried were marked as Haeberlin classics. But I wasn’t too impressed by what ended up on the plate. 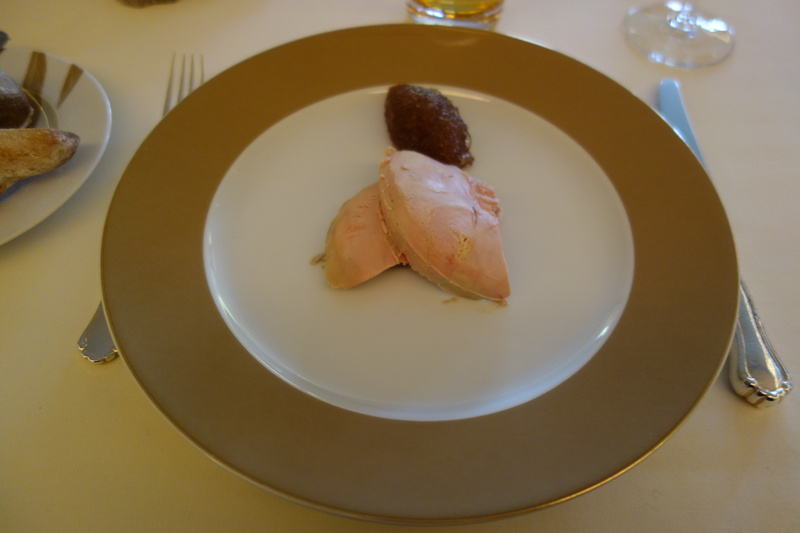 A foie terrine, while good for foie terrines and served with a nice warm brioche and a bit of riesling jelly, was unremarkable. 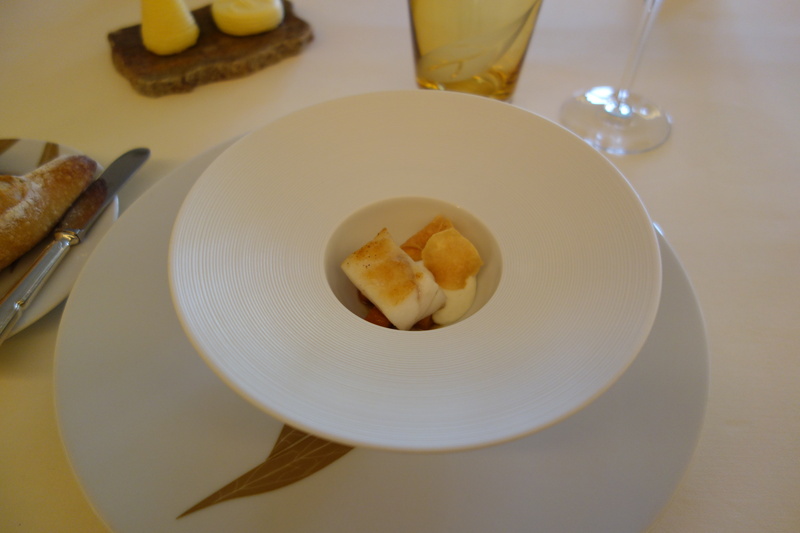 The highlight of the four courses turned out to be the salmon souffle, a paradoxically light dish with a souffle cloud encasing a rectangle of salmon. 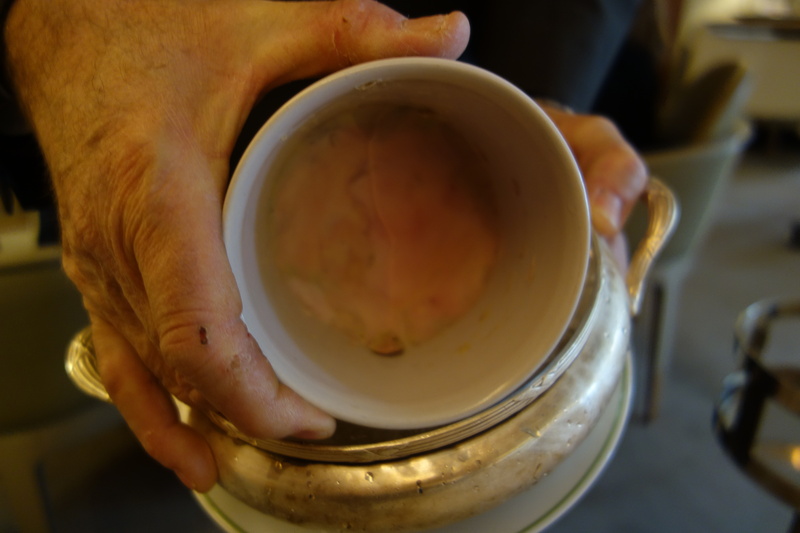 The truffe sous la cendre, was an epic baseball of heaviness. 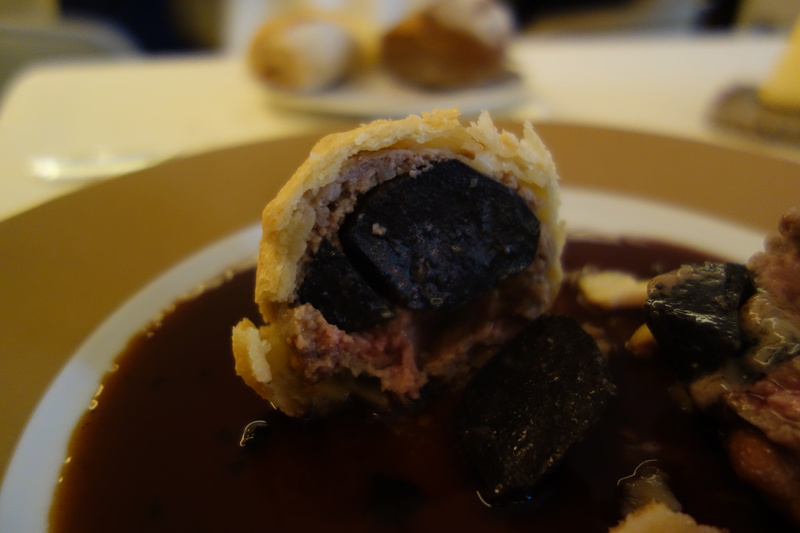 Pork, pigeon, foie, encased a whole black truffle, cooked in a doughy-flaky puff pastry. 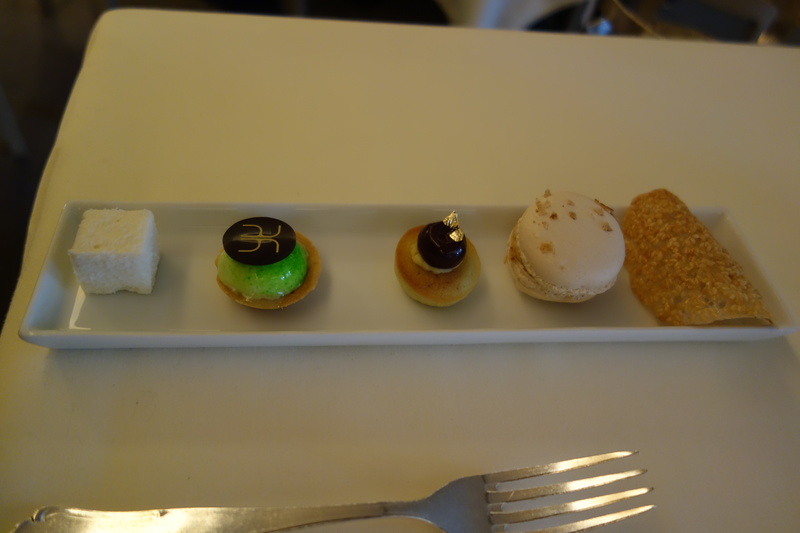 The truffle had a hard-jellied texture, and it was a pleasure to chew upon. There was a sweetness to the truffle, and a savory black truffle sauce. 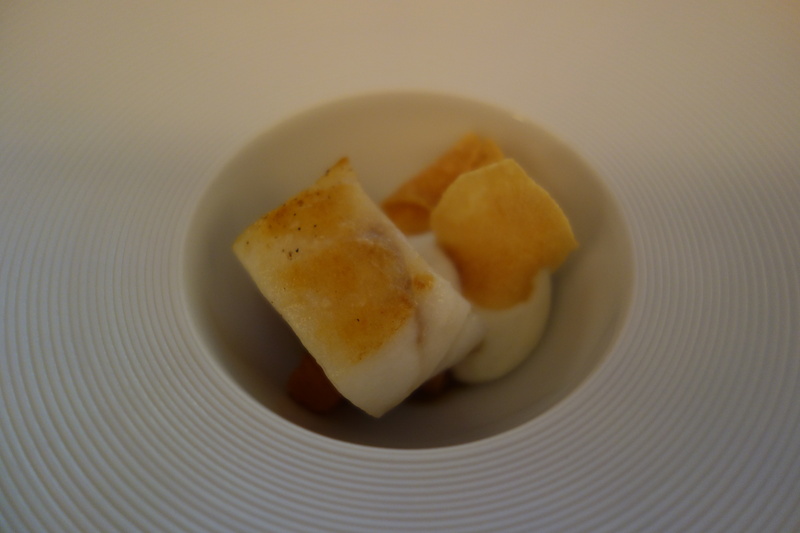 While the dish was visually impressive, and certainly satisfying, I felt it was not as great as it could have been. 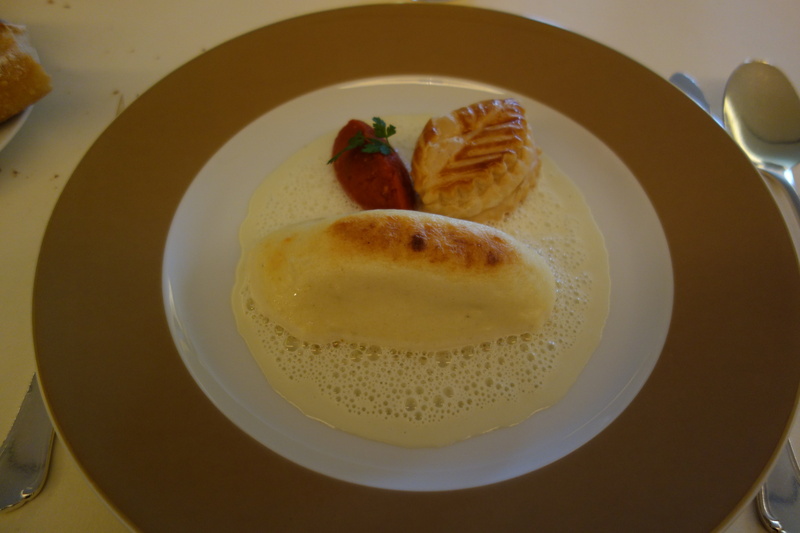 The puff pastry was doughy and felt undercooked to me. 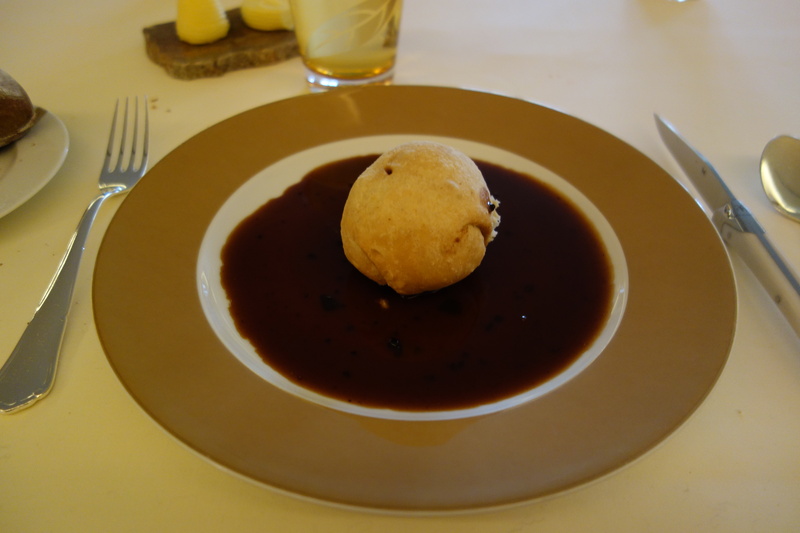 The meat-filling insulating the truffle was nothing more special than mincemeat. I finished off with a Haeberlin peach. 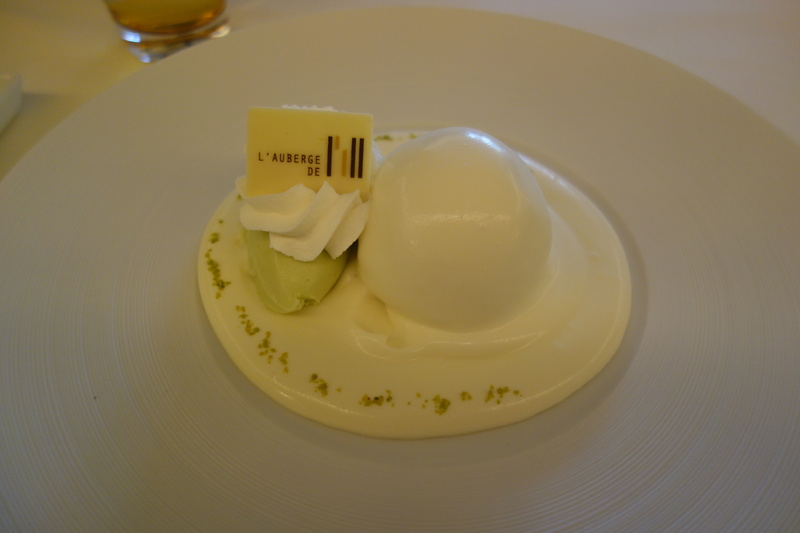 The peach had been poached, coated with a champagne sabayon made with whipped cream and pistachio ice cream. (A video of Marc Haeberlin making it, here.) 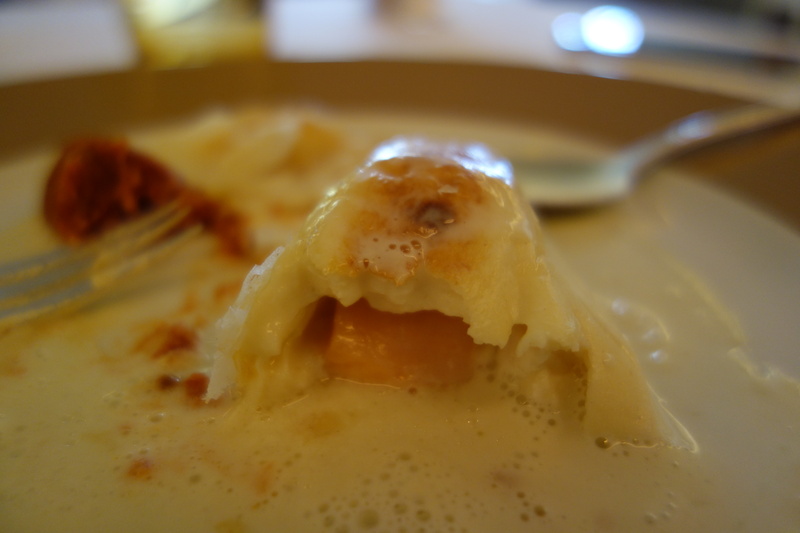 While it was fairly pleasant, poached-peach wise, it lacked a bit of the wow factor you get from modern desserts. (I would say in fact, that the desserts I had in New York earlier on in my trip – at Momofuku Ko, Contra, Semilla, Birch in Providence, were more to my taste than here). 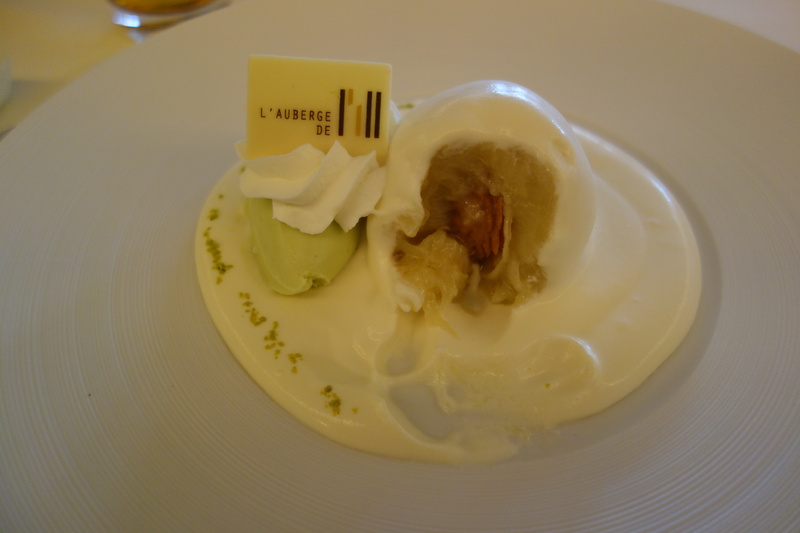 I think what spoiled the illusion of transcendence most, was the fact that the white chocolate nameplate for the Auberge de L’ill was actually sticky, and stuck to my back teeth. With an uncomfortable feeling of having a white chocolate nameplate stuck to my back molars, I was transported to memories of mass-produced ice cream sundaes with whipped cream. And the association stuck. I must admit I wasn’t too impressed by what ended up on the plate. 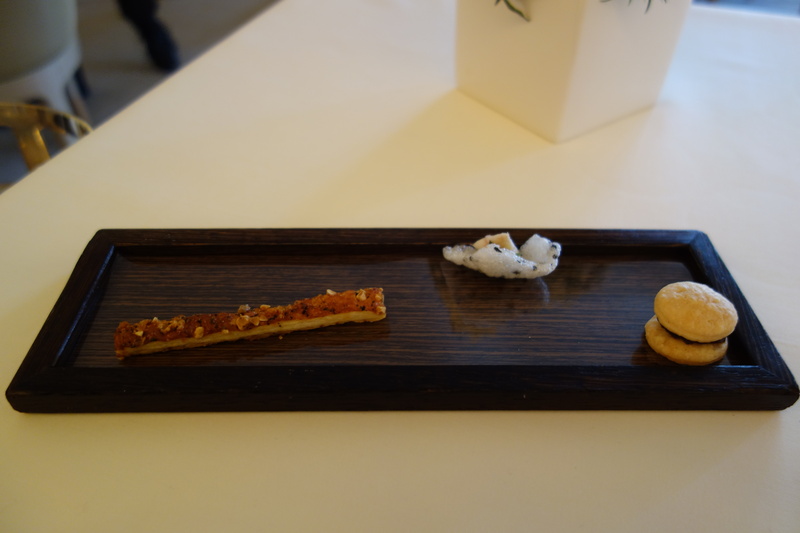 I didn’t fully connect with this meal (too heavy and sledgehammer-simple for my tastes), but to be fair, it is unrepresentative of Marc Haeberlin’s cooking, which is more Asian- and Japanese-influenced these days. The final damage, inclusive of all the trimmings you would expect at a three-star table, tallied up to 280 euros. 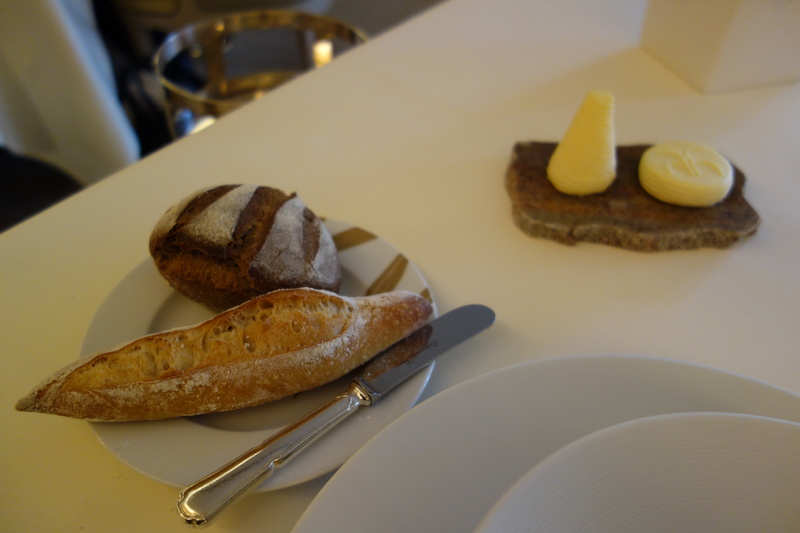 This is on the high-side for the Auberge – the classic tasting menu of Paul Haeberlin goes for about 120 euros, and the modern menu of Marc Haeberlin for 170 euros. 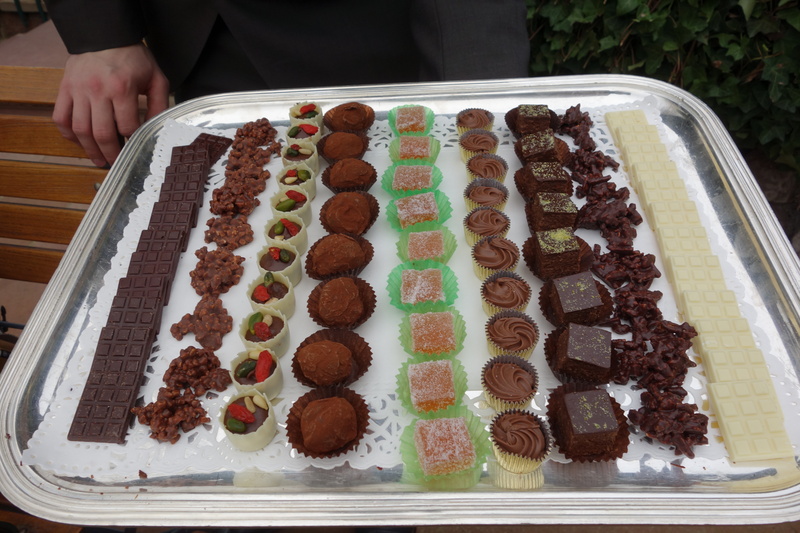 My whole black truffle, an a la carte only order, was a big contributor to that damage, making up 160 of the 280 euros. 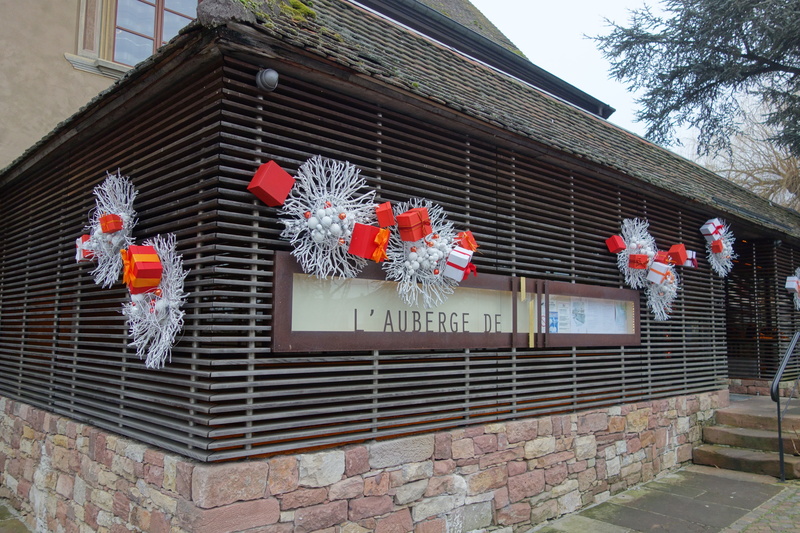 Is the Auberge worth the trip? Yes, if you’re looking for a history lesson. 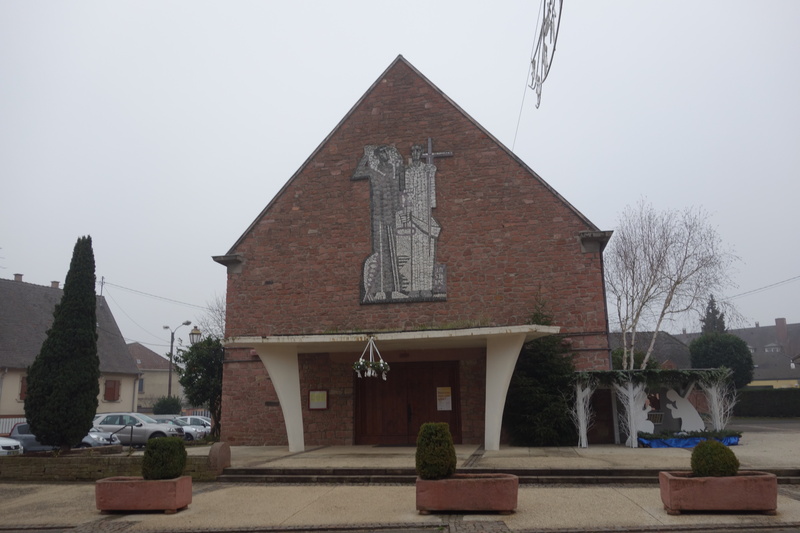 There are only a few time-machines to 3-star cuisine from earlier ages left in France (Bocuse, this one) so treat it as such. 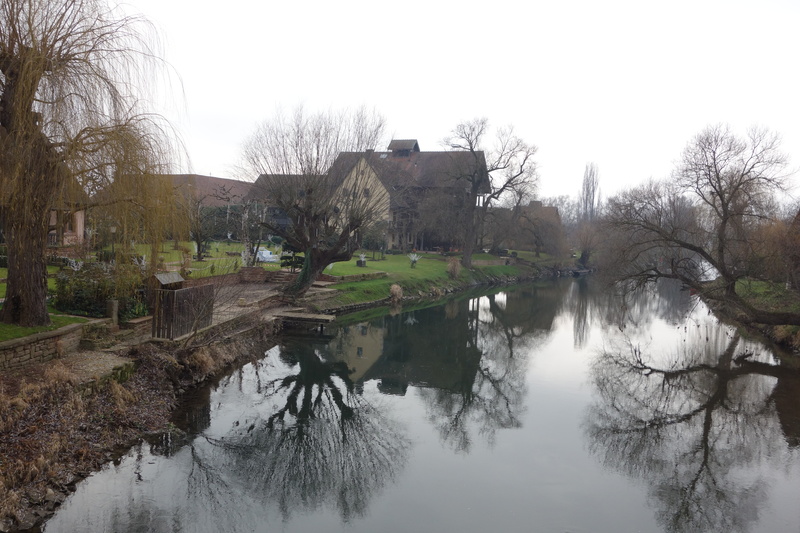 The view of the river Ill is spectacular, and in warmer times a post-prandial coffee on the terrace is a treat (in the winter, it is a bit too cold). 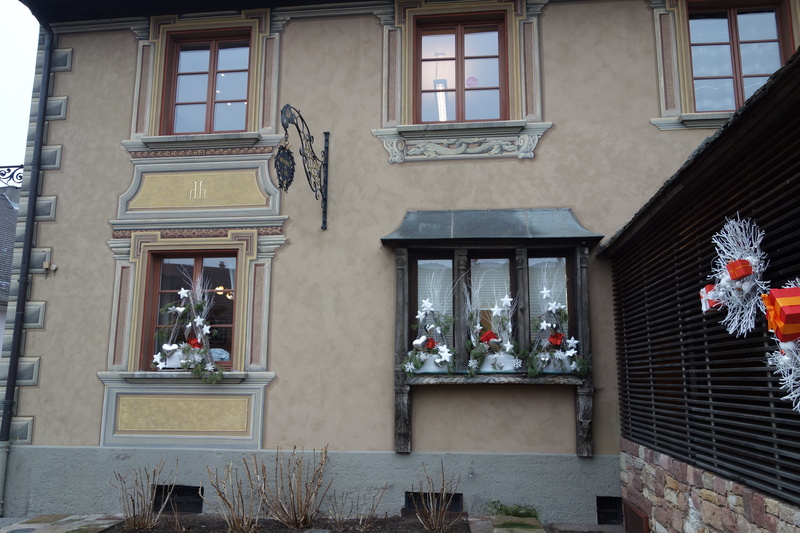 But if you’re looking for a great 3* meal, I think a more reliable deal would be to cross the German border to the Black Forest and sample the cuisine at either the Bareiss or Schwarzwaldstube. 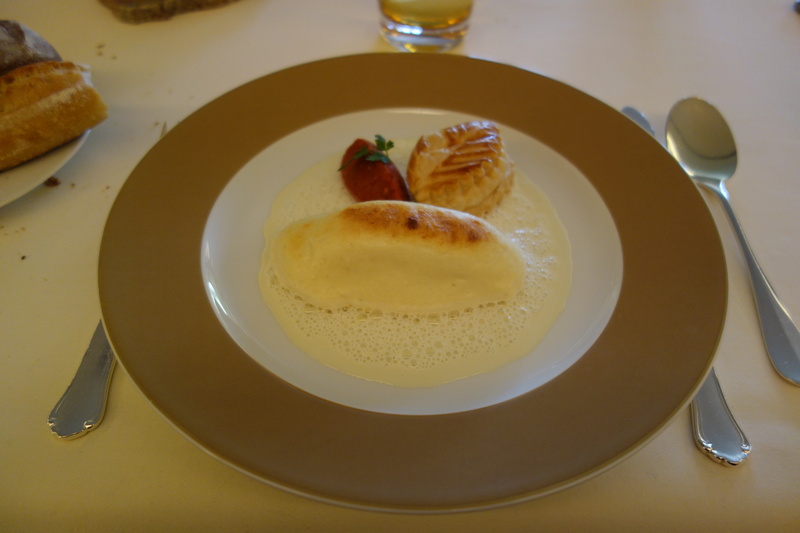 From my recent experiences, the fine-dining across the German border is much more spectacular than what you can try at the Auberge. A slightly dry fried (why??) 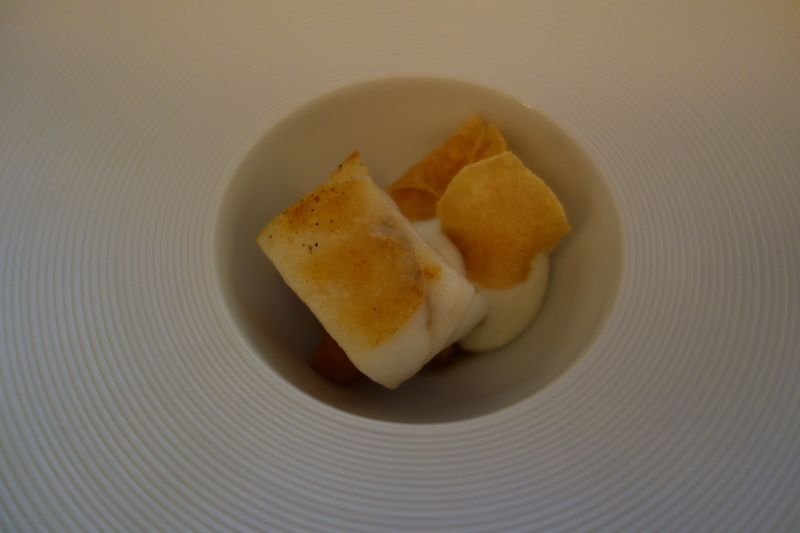 turbot. It was overdry, probably because it had been pre-filetted. 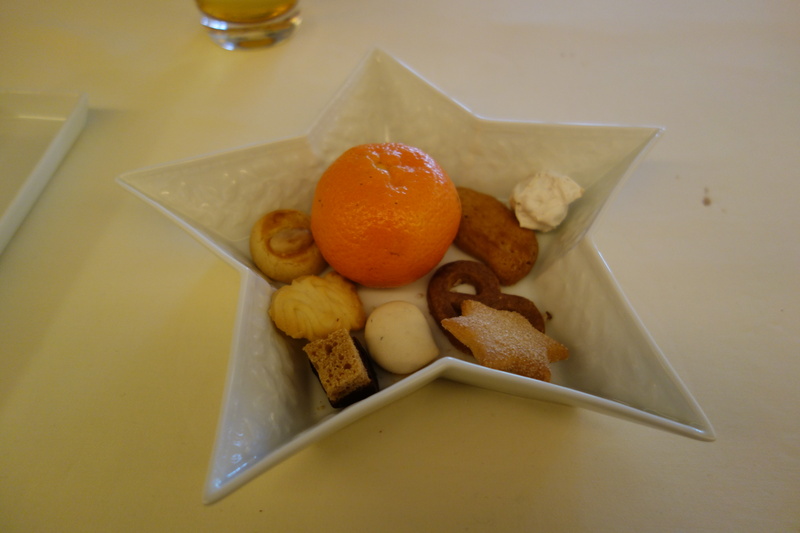 The sunchoke accompaniments were undistinguished. 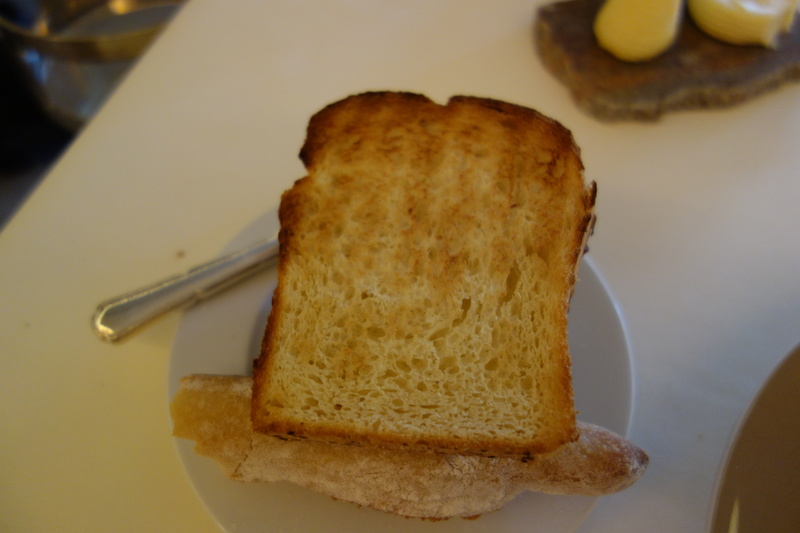 Foie terrine, warm brioche and a bit of riesling jelly. 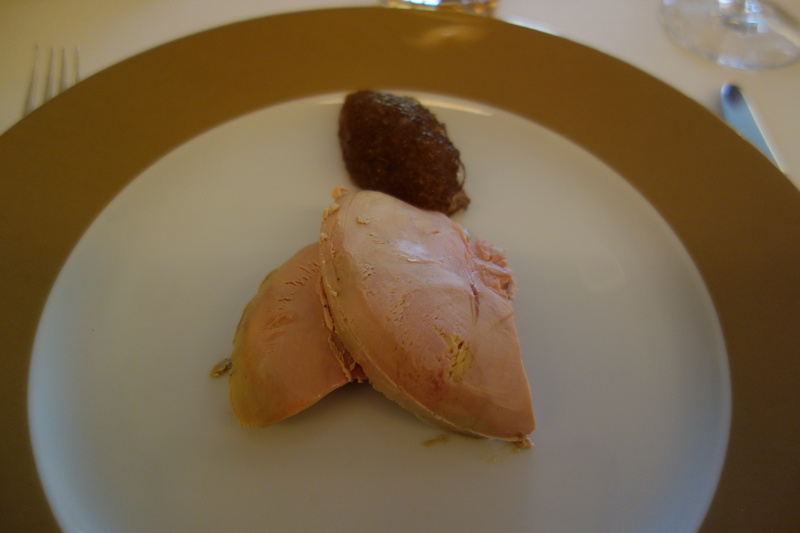 Nowadays, you can probably get foie terrines of similar quality from a French bistro. Good, but really not a 3-star dish (or even a 1-star dish) in the modern world. 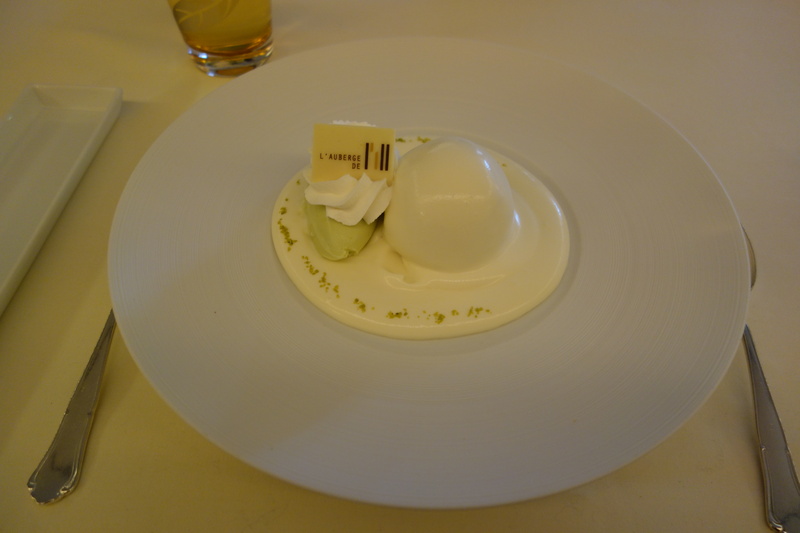 To be honest, a bit disappointing compared to the extravagant fancies of Claus-Peter Lumpp over the border at Bareiss and Harald Wohlfahrt’s excellent jellied foie terrine at Schwarzwaldstube. 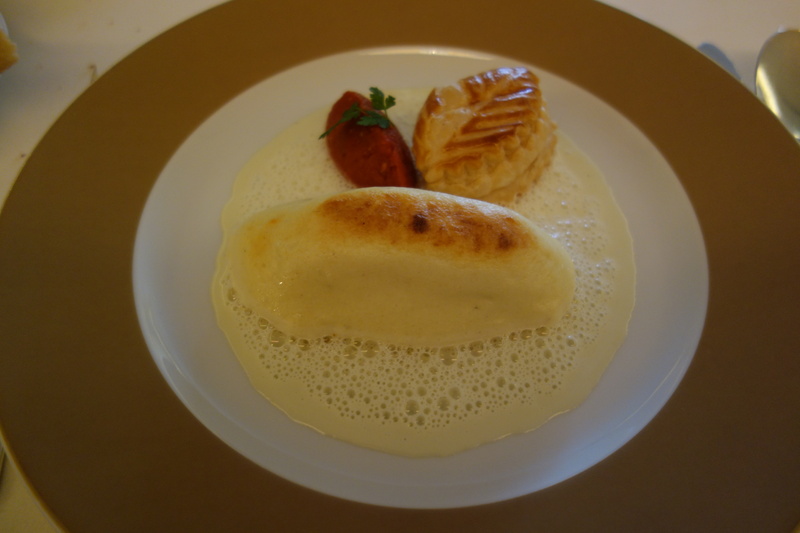 A souffle cloud encasing a rectangle of salmon, tomato paste, and puff pastry. Could have this every other day, to be honest, it went down the hatch like a puff of aether.